The 1.25 litre diesel engine is very responsive, making the car easy to drive. Dual controls, plus front and rear CCTV cameras increase your safety and security. Permanent decals together with a roof sign help it to be easily seen by other road users. It is insured for any provisional or full licence holder to drive on lessons and tests. Being small with good all round visibility and power steering makes it easy to manoeuvre. It is enjoyable to drive being spacious and comfortable. Air conditioning ensures the car is comfortable, even on the hottest of days. Your Instructor - Anita Harrison ADI Dip. D.E. Anita founded FSM Driving (Freelance School of Motoring) in 2006. She is a fully qualified Driver & Vehicle Standards Agency (DVSA) Approved Driving Instructor, and also qualified to deliver Fleet Driver Training. Having passed the Institute of Advanced Motorists Advanced Driving Test, she also took and passed the Middlesex University Diploma in Driver Education qualification. Being committed to promoting the improvement of driving standards and road safety, much of her time is devoted to the further development of her driving and training skills, enabling her to use the latest training techniques to help you develop your driving skills. Anita keeps up to date with changes in the transport industry in order to provide the latest regulatory guidance and advice. You can be sure that your lesson will be delivered in a calm, patient manner helping even the most nervous pupil feel at ease. Customer service is an important aspect of the business. You can rely on her to be punctual, professional and conscientious. 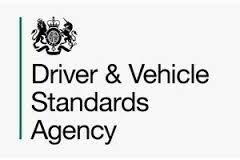 All Approved Driving Instructors are regulated by the Driver and Vehicle Standards Agency. We also adhere to the ADI-Code-of-Practice, please click on the link to download the file.